Even in the modern NBA with players continually changing teams, it's hard to imagine Klay Thompson wearing a jersey other than one with the Warriors. Once again, Thompson made it clear he expects to stay with the Warriors long term. Before the team's loss to the Blazers on Wednesday night, he told ESPN that he "wants to finish his career as a Warrior." Klay wants to stay in The Bay. 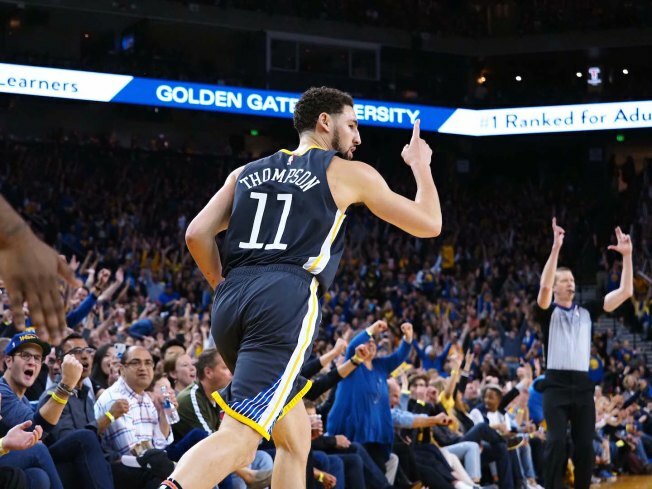 Thompson is set to be an unrestricted free agent at the end of the 2018-19 season. This isn't the first time Klay has made his feelings known. Even his father Mychal, who played five seasons for the Lakers, believes his son will re-sign with the Warriors. The Warriors selected Thompson with the No. 11 overall pick in the 2011 NBA Draft. Since then, he's been a five-time NBA All-Star, three-time Finals champion and two-time All-Pro. Anything could happen, but it's safe to say these two have quite the relationship and are ready to tie the knot.